U.S. government officials have often been hesitant to take the Soviet Union to task on their humanitarian crimes. This reluctance to confront Moscow was usually an effort to avoid worsening already poor relations. After World War II, for example, the U.S. was willing to let Soviet war crimes committed during the war go unchallenged despite clear evidence of Soviet guilt. As early as 1943 the United States was aware that the Katyn Forest Massacre had been carried out by the Soviet secret police, or NKVD. Yet, in order to avoid inciting Soviet retaliation, the US remained silent. 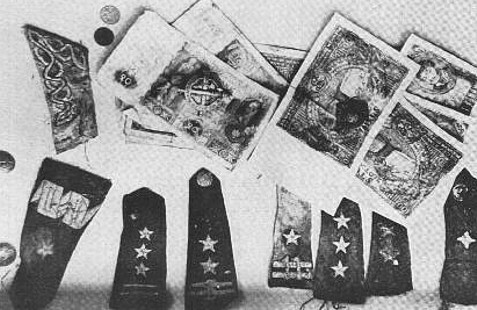 Polish officer lapels and banknotes found in the mass grave at Katyn (via Wikimedia Commons). The Katyn Massacre involved the killing of 4,243 Polish Army officers and intellectual leaders imprisoned by the Soviets after their invasion of Poland in September of 1940. Even though the USSR denied its participation at Katyn and blamed Germany for the massacre, the Germans presented hard evidence in 1943 that proved Soviet involvement. Medical examinations of the corpses of Polish officers exhumed in the Katyn Forest proved that these victims were killed no later than the spring of 1940. 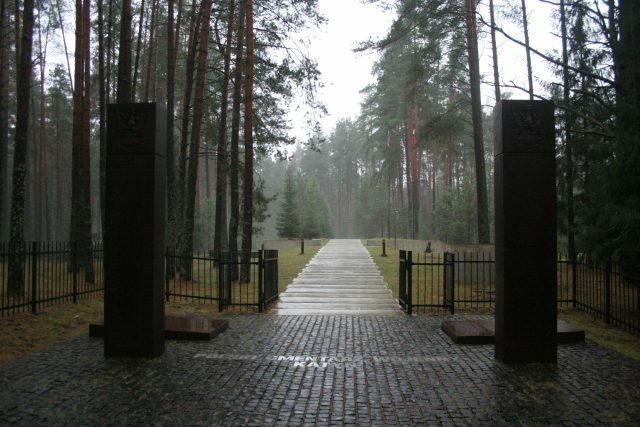 The Katyn Forest is located just east of the Belarusian-Russian border, an area Nazi forces did not reach until nearly a year after the massacre, making it impossible for the Germans to be involved. In 1951 the United States government created a Special Committee responsible for a thorough investigation of the Katyn Forest massacre. Among the goals of this Committee were to discover which country was guilty for the crime against the Polish nation, as well as to disclose the truth about whether any United States government officials could be blamed for concealing information about this event. It did not take long for the members of the Committee to compile a staggering amount of evidence showing the guilt of the NKVD, however, the investigation of United States government officials proved to be far more challenging. The Katyn Forest today (via Wikimedia Commons). In some cases, the Committee had to interview the same government officials multiple times, as additional facts were revealed about their knowledge of the massacre that had been left unmentioned during their first testimony. In addition, the investigation revealed that at that time there were officials in the United States government who took it upon themselves to filter out of their reports any unflattering information about the USSR. Nevertheless, the data gathered by the Select Committee from these interviews showed that most government officials distrusted the Soviet authorities and suspected their guilt in Katyn Forest Massacre. However, they felt that they were in no position to denounce the actions of the Soviets, as it may have jeopardized the prospects of the Allied Forces’ victory. Moreover, such condemnation of the USSR would not have been supported by President Franklin Roosevelt, as he believed in the absolute sincerity of the Soviet government and considered recently discovered information by American emissaries to be German propaganda. The former American Ambassador, Averell Harriman, and former Under Secretary of State, Summer Welles, claimed that the United States government acquiesced because, first, it believed in Stalin’s pledge to cooperate with the Western Democratic countries after the end of the war, and second, the U. S. was trying to secure Soviet participation in the war against Japan. Ultimately, there was a fear within the United States government that if a case against the Soviets was pursued over the Katyn massacre the USSR might seek revenge against the U.S. by making peace with the Nazis. 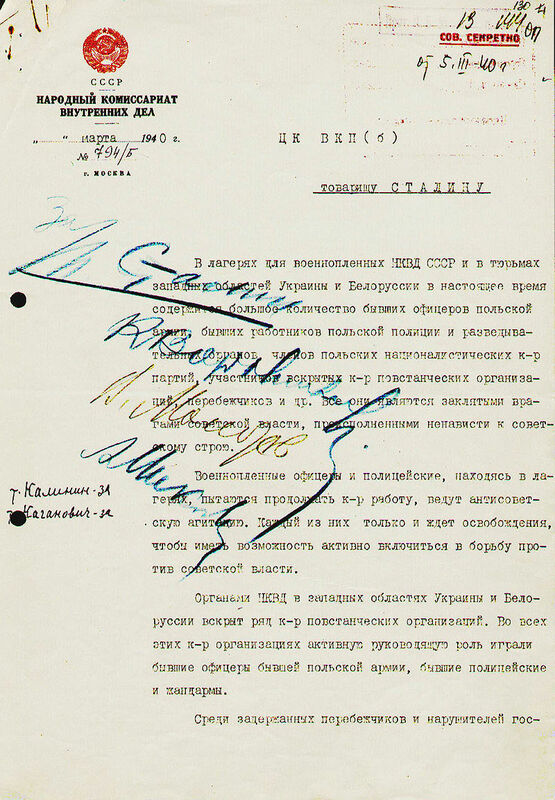 Letter from Beria, chief of the NKVD, to Stalin proposing the massacre of Polish officers held by Soviet troops, 1940 (via Wikimedia Commons). As a result, the USSR suffered no penalty for its terrible crime against the Polish victims, which, as was later revealed, had been planned by Stalin to eliminate the potential for a Polish uprising in Soviet territories with strong historical connections to Poland. Stalin had also intended to create a pro-Soviet satellite out of Poland after the war, a process made much easier by the annihilation of Poland’s old guard officers. Many American government officials and organizations had correctly assessed the character of the USSR during the war, but chose not to condemn its actions, since it could have led to unpredictable consequences during World War II. After WWII: A Soviet View of U.S. Intentions. Everyday Stalinism, by Sheila Fitzpatrick (2000). The Unknown Gulag: The Lost World of Stalin’s Special Settlements by Lynne Viola (2007).